In Europe, Nintendo is releasing a new Legend of Zelda themed 3DS XL. It sure is pretty. 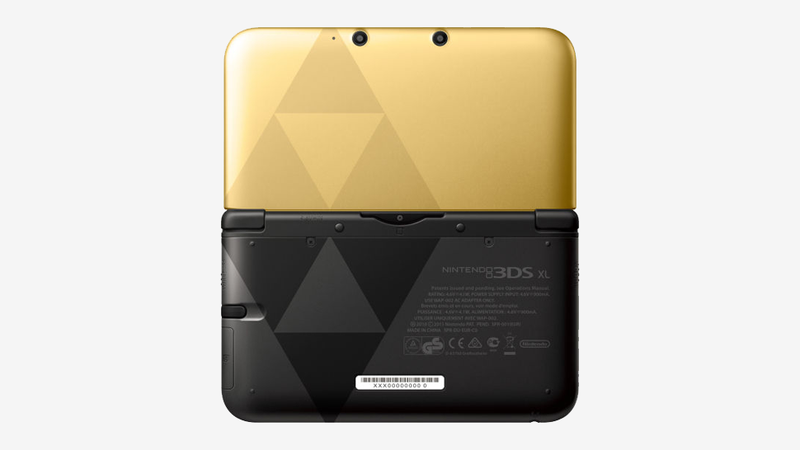 The 3DS XL takes its visual motif from The Legend of Zelda: A Link Between Worlds, and it looks to be a clear reference to Hyrule/Lorule dual world. It&apos;s not Hyrule—it&apos;s Lorule. Get it? The limited edition Zelda 3DS XL will be available when A Link Between Worlds launches in Europe on November 22. It comes with a download code for the game. Kotaku is reaching out to Nintendo to see if this handheld is getting a U.S. release. This article will be updated should the company comment.